Valley Rovers Camogie Club & Valley Rovers Ladies Football ClubSocial Night & Medal Presentation to the victorious teams of 2016 on February 17th at 7.30pm in the Munster Arms Hotel, Bandon.Great night of fun & entertainment guaranteed, so come along and join the fun. 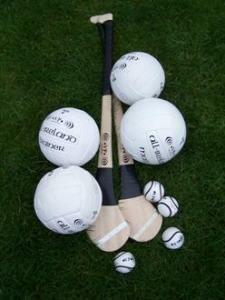 Tickets are €10 and can be got from any committee member from the Camogie or Ladies Football Club. Valley Rovers Ladies football club are having our annual Family Fun Bingo afternoon in Innishannon Parish Hall, Sunday the 12th of March at 3pm. A great day assured! Valley Rovers ladies football club wish to congratulate the 5 players who will represent us in their respective Cork intercounty teams in 2017.Laoise Collins will represent the club at U14 level, Niamh Hurley & Jane Mulvihill at U16 level and Emer & Daire Kiely will represent the club at minor level. This is a fantastic achievement by each of the girls and the hard work they put into their respective games is paying dividends for them as it has for the club also. Well done and congratula..
Valley Rovers ladies football club organised a FUNdamental coaching course held in Scoil Eoin, Innishannon on Saturday Jan 14th last. Many coaches from around the county attended but 11 of the Valley Rovers Ladies football coaches took part, showing their commitment to making our ladies footballers the best they can be going into 2017. The development of our coaches is recognised as the way forward to advancing the skills of all our players so that they can be the best footballers that they can ..
A fine turn out last night in our coaching course with Liam Reilly, a really positive outlook on the future for our ladies football club! Congrats to Niamh Hurley and Jane Mulvihill for making the Cork U16 ladies football panel for next year and to Laoise Collins for making the Cork u14 ladies football panel. Fantastic to see such great representations on both panels and is a reflection of the continued hard work being done by the club at underage level. For people who were unable to collect ur Valleys Club gear order yesterday eve, u will be able to do so this morning during the breakfast morning, downstairs in the hall, this will be the last collection time b4 xmas, so pls arrange for ur order to be collected. Reminder Valleys xmas club gear collection tomorrow Sat Innishannon Hall downstairs 7 to 8:30 sharp. 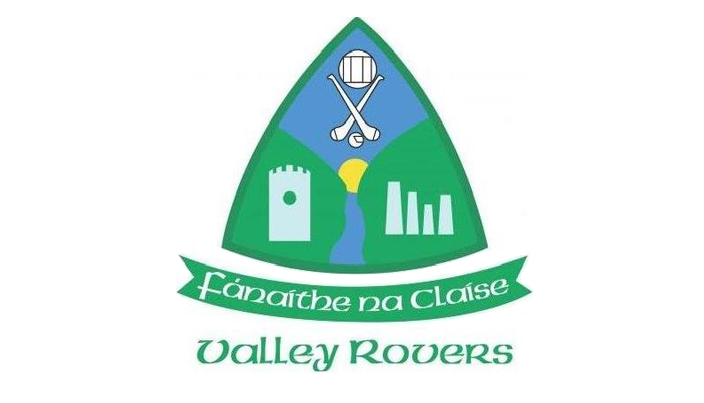 THIS COMING SUNDAY DECEMBER 18THValley Rovers GAA Community Breakfast MorningSun Dec 18th Innishannon Hall 9:30 to 12:30in aid of Valley Rovers Facility DevelopmentPlease come and join us in a pre-Christmas event to celebrate the achievements of our members in 2016, whilst enjoying a full Irish breakfast and fresh home-baking, which will be served throughout the morning.All proceeds from this event will go towards the development of facilities within Valley Rovers, to the benefit of all the yout..